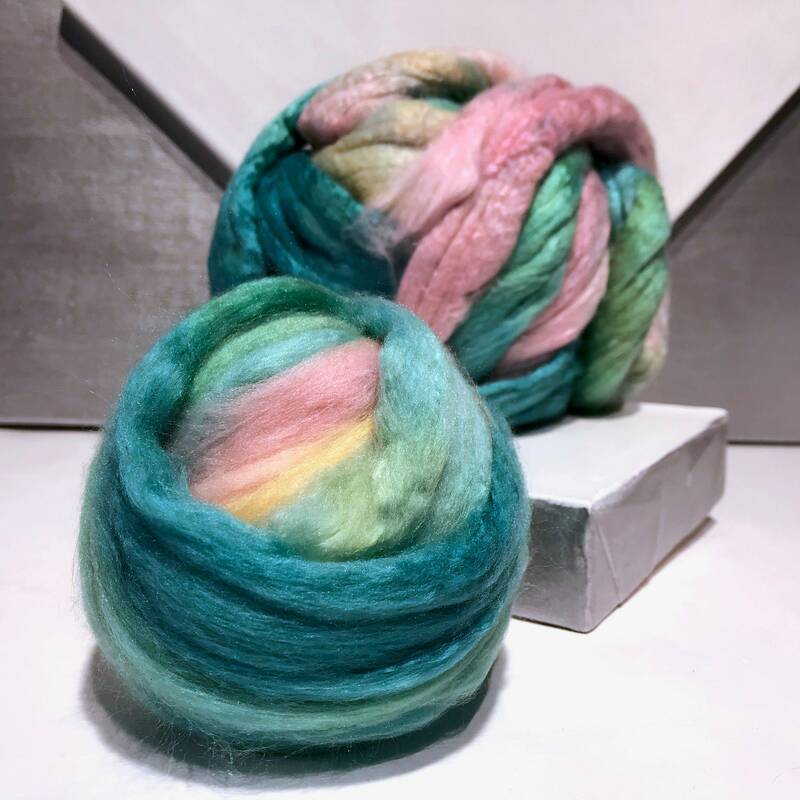 Fiber: 50% extra fine Merino, 50% Cultivated, Mulberry Silk. 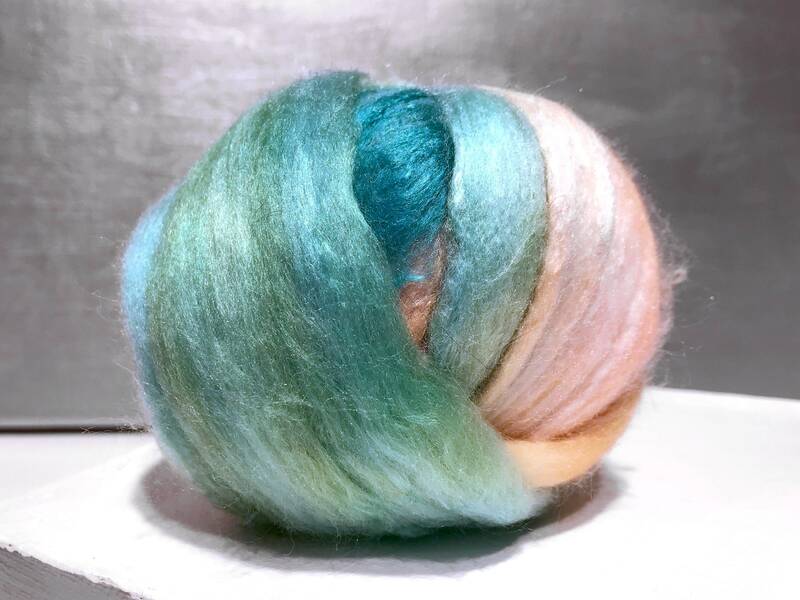 This is our favorite roving blend to spin. 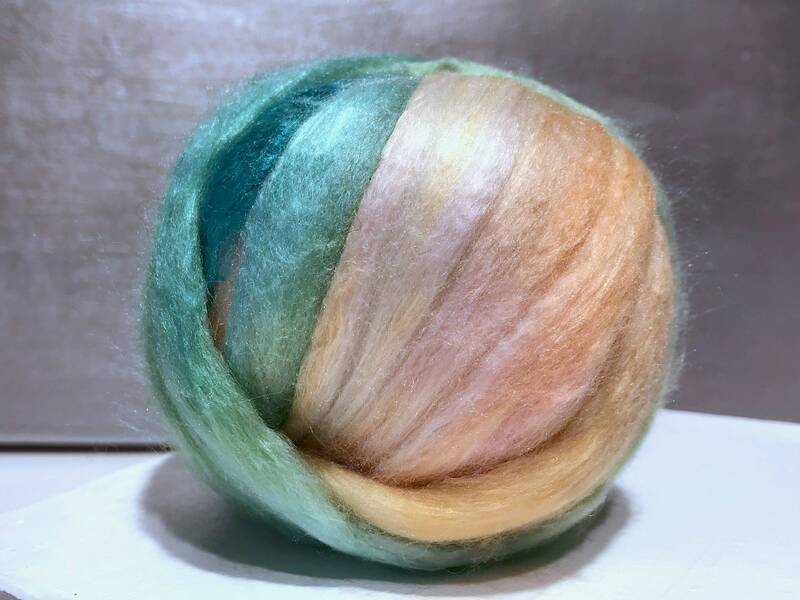 It has all lthe luxury of Merino and silk with an easy, dreamy handle. Not too slick, very soft, great loft. 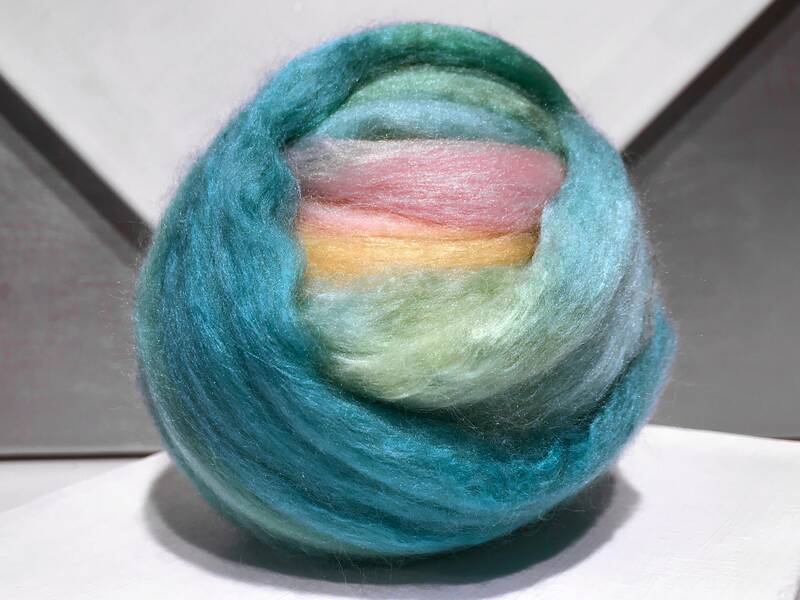 These advantages all carry over into your felting pursuits as well. 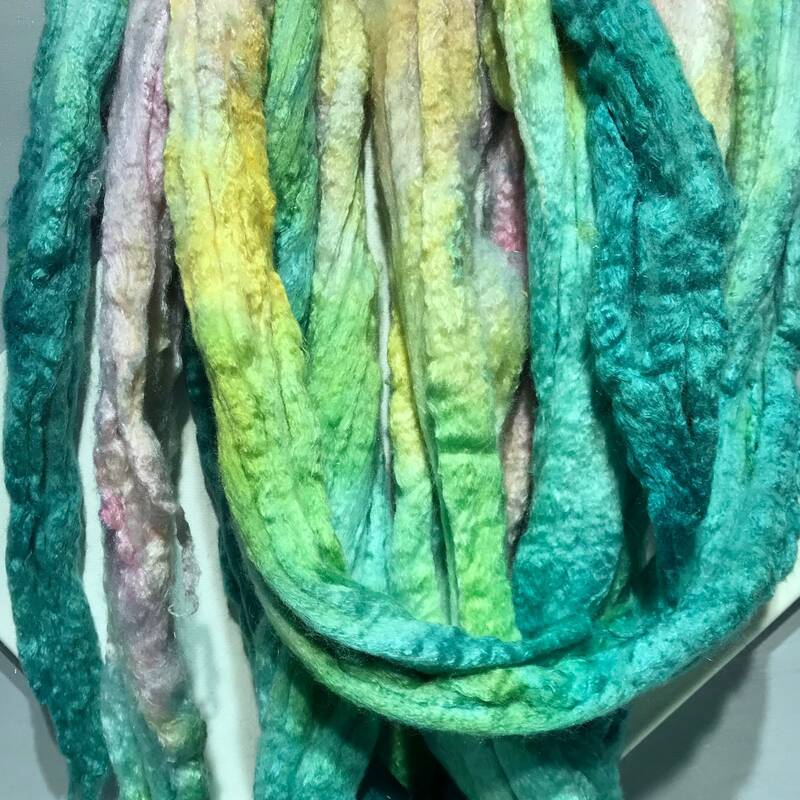 It takes a little more effort to wet felt, and is soooo worth it! 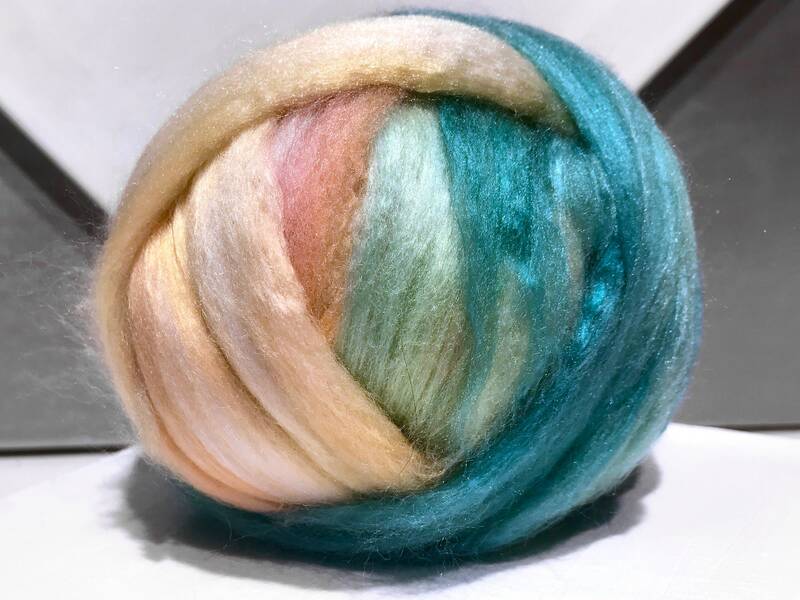 Need more fiber than you find here? 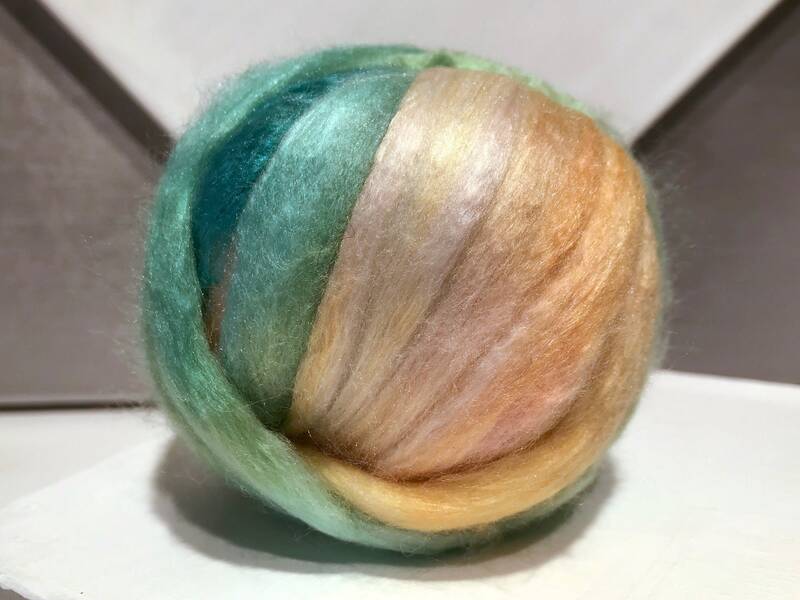 We dye in coordinating batches, so you'll likely find something that will coordinate beautifully in our roving and batts sections. 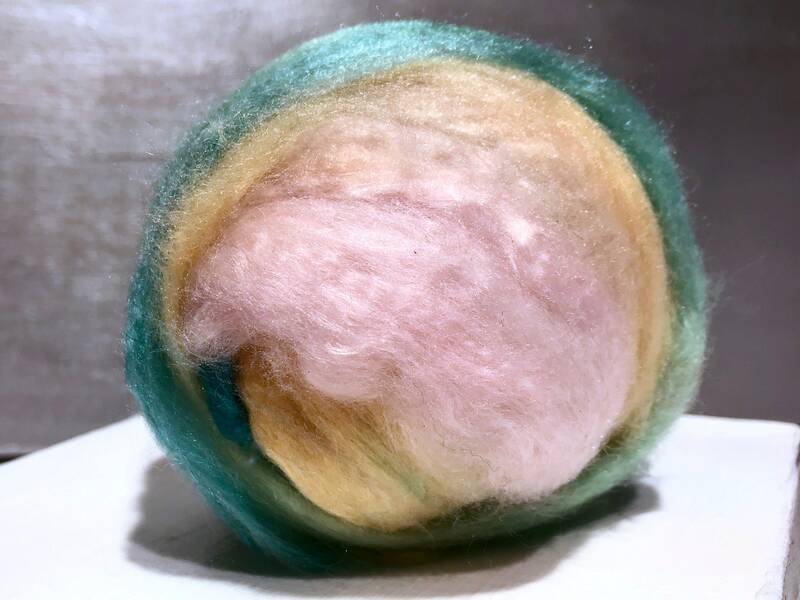 We have, on average, over 50 rovings and 50 batts to choose from—check us out! Why roving balls? 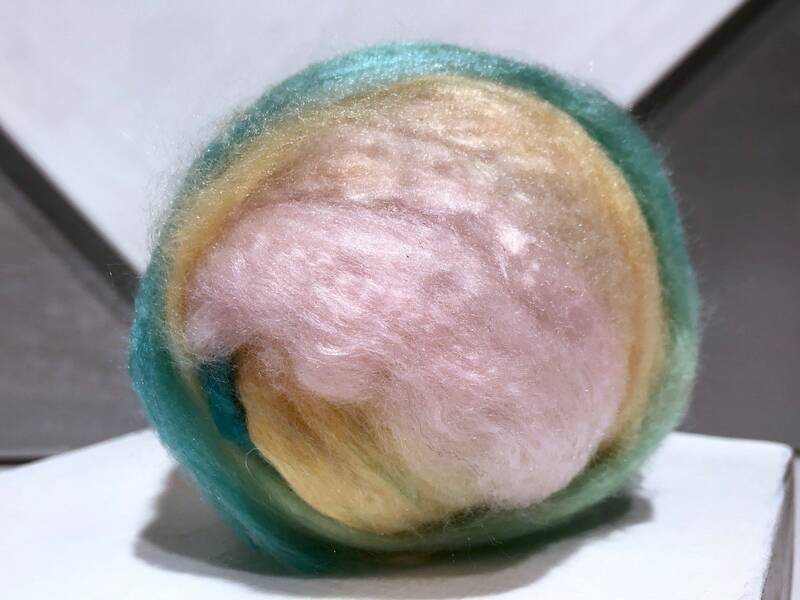 We stopped braiding our fiber when we realized how much easier it is to spin, to work from a pre-drafted ball. The fiber is not compressed in spaces and we find it drafts much faster and is easier on the wrist. Pulling the strips of fiber apart length-wise even adds to the loft! !